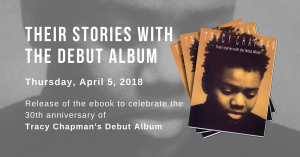 1988-2018, 30 years since the release of Tracy Chapman’s Debut Album! The album’s global sales exceed 18 million and has been streamed over 435 million times. To celebrate this anniversary, we asked people from our community to tell their stories with the album or a song from it. We also asked artists to illustrate the album or a song in their own style.